Smart But Stuck, Second Edition is an updated look at how smart people with learning gaps can not only overcome them, but become successful in learning—and life. 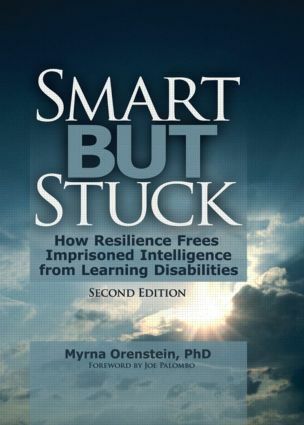 The new edition of this classic explores the emotional aspects of learning disabilities and imprisoned intelligence, showing how—and why—smart people with learning disabilities are resilient in getting help in order to struggle, survive, and achieve. The book also includes new material on the relationship between learning disabilities and neuroscience and a new foreword by Joseph Palombo, Founding Dean of the Institute for Clinical Social Work in Chicago. This unique and compelling new version takes into account that the reader may have a learning disability, so it's easy to read and understand. Topics build on each other so the reader's knowledge becomes cumulative without dramatic effect and so emotional, biological, and social issues are easily integrated as the reader learns to turn a learning disability into an advantage. * imprisoned intelligence and resilience—how does it happen? Smart But Stuck, Second Edition is a must-read for people with learning disabilities and their families, psychotherapists, social workers, educators, parents, vocational counselors, and college counselors. Please visit www.smartbutstuck.com for more information. Imprisoned Intelligence: How Does It Happen?